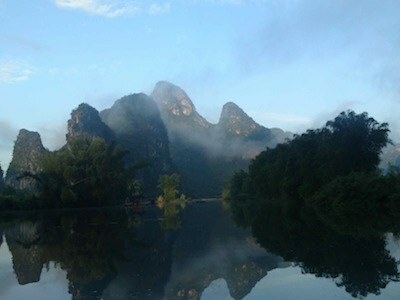 Lie on a bamboo raft and watch ancient karst mountains drift past. Watch in amazement the spectacle of Zhang Yimou’s Impressions. Stay with family you haven’t met yet at an exclusive eco lodge. Taste the local beer and the local beerfish.